La Liga side monitoring striker situation. Sevilla are keeping an eye on Radamel Falcao’s situation at Manchester United after the Colombian international was left out of Louis van Gaal’s squad against Southampton yesterday. According to Spanish source Fichajes.net, the on-loan AS Monaco man is not keen on a return to La Liga, having previously played there in a highly successful spell with Atletico Madrid, but Sevilla are keeping him in mind as they ponder making a new signing upfront. Falcao’s future at Old Trafford looks in serious doubt after a series of unconvincing displays for the Red Devils this season since his big-money loan move from Monaco on the final day of the summer transfer window. With only three goals to his name so far for United, it looks increasingly likely that van Gaal will not opt to sign the 28-year-old permanently and move for other targets instead. 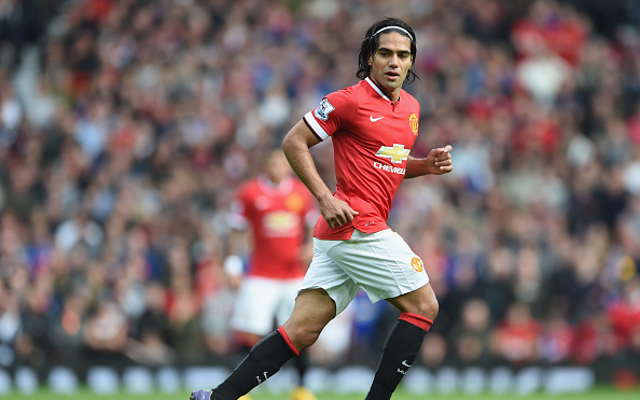 The Dutchman revealed that Falcao was not injured on Sunday, but failed to even make the bench as United lost at home to Southampton.